A young company, with a long history. The history of events that lead to the forming of W4P Waves4Power AB; as told by Gunnar Fredrikson, founder and President of IPS InterProject Service AB (IPS) and co-founder of Waves4Power. 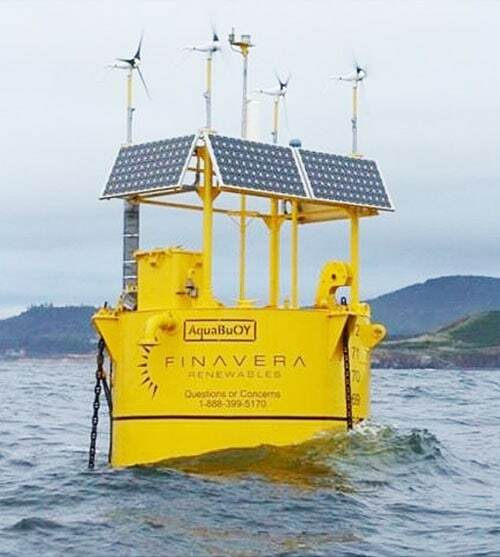 Few, other wave power companies have accomplished what Waves4Power did in the months between August 2008 and April 2010. We went from an idea to an ocean-tested prototype – the WaveEL buoy – in less than two years without any help from large external investors. However, our story has a much earlier start than even the 2008 date when the WaveEL project started. The 1973 oil crises triggered a movement among inventors, particularly in Scandinavia, to start thinking about alternative energy sources and ways to generate electricity from such alternative sources. The ideas of utilizing the energy in wind and waves – although not new at the time – seemed particularly intriguing and were two areas of special interest and many new solutions were presented and tested. Our consultancy company InterProject Service [IPS] was started right in this time period and one of the first requests to the company came from a couple of engineers, previous colleagues of mine. They had applied for a Swedish patent for a simple device to generate electricity from the vertical motion of waves in lakes or the ocean, now they needed financial support and guidance to apply for international patents. We were fascinated by the idea and even though their first ideas never proved patentable we continued to work on the concept. 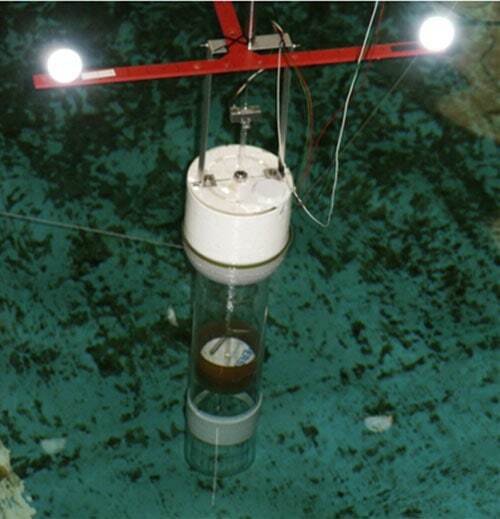 Through our contacts at the Royal Institute of Technology in Stockholm we got access to a wave tank were the first simple practical tests were performed. These early tests and the introduction to newly appointed Professor Anders Norén lead us to a new idea – the invention of the acceleration tube. Additional studies and testing would show the acceleration tube to be a very significant improvement and the patent that followed cover what we still to this day consider the signature feature of the IPS-buoy and now the WaveEL Buoy. 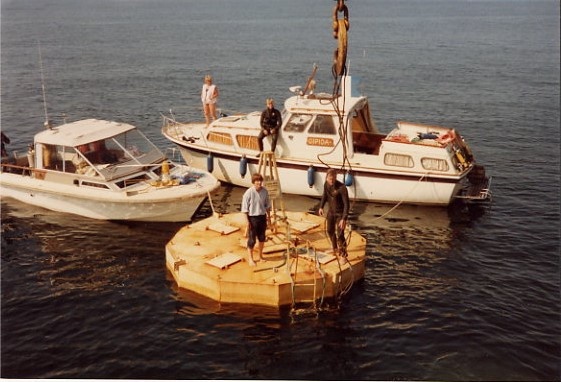 At the same period of time the first contacts were made with Professor Curt Falkemo at Chalmers University of Technology (CTH) in Göteborg were we knew a lot of experience was available from wave research with buoys – such as navigation and mooring buoys. News to us however was the fact that Prof. Falkemo just a year prior had started the work on a book “Vågenergiboken” (“The Wave Energy Book” which was published sometime later in 1980) about ideas of buoy shaped wave power systems. We also learned about a new research group – “The Group for Wave Energy Research” that was being formed at CTH. The group received governmental support for investigating and researching, among other things, the feasibility of utilizing wave power systems for the island of Gotland in the Baltic Sea. Soon thereafter The Group for Wave Energy Research formed into the consultancy company Technocean AB – with essentially the same group of people from CTH forming the company. 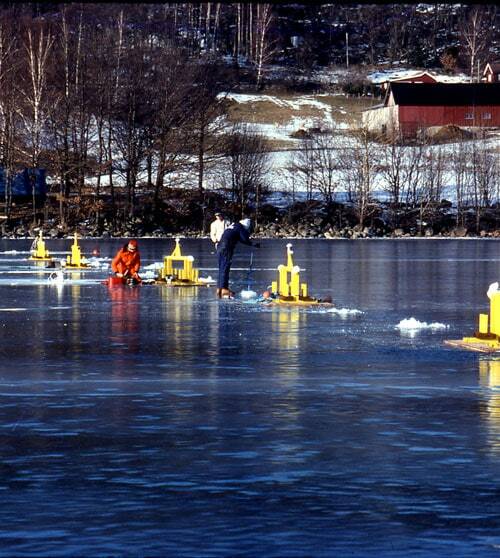 They continued the work with evaluating Gotland but also took on the task to help IPS to perform the first 1/5th scale testing in Lake Lygnern south of Göteborg in the summer of 1979. In parallel with the IPS trials a different wave power device developed by Svenska Varv AB (Swedish Shipyards) was also tested by Technocean at the same site in Lake Lygnern. 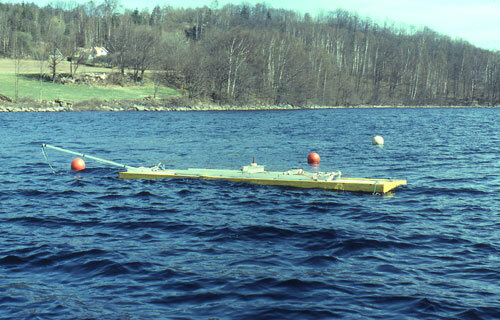 After the trials in Lake Lygnern the IPS-buoy design was considered ready for testing in the ocean. A full scale prototype – Elskling – was built and tested at different periods in 1980 and 1981, close to the light house Trubaduren just south of Vinga in Göteborg’s outer archipelago. The results from these sea trials were considered very encouraging but the interest in alternative energy subsided quickly in the early 1980th when oil became plentiful again and prices dropped back to the same levels as before the crises. The work presented in OWEC-1 and a general awakening about the need for renewable energy made us start to think in new terms about wave energy. While Svenska Varv had abandoned their wave power project several years earlier we saw an exciting opportunity! The idea to combine the IPS-buoy with the Hose Pump concept was born and a patent for the combined system was applied for in the spring of 1996. When the patent was approved in the fall of 1998 this became the foundation of what would eventually be a new company. Attempts were made to find financing for a company to develop the new system in Sweden, but this proved too difficult so instead a new company was formed in the USA in 2001 by the sons of Gunnar Fredrikson – Hans and Göran, whom both live in the US. The company was named AquaEnergy Group and was located in Seattle on the US North West coast where some of the best wave resources in North America can be found. After a long development time on a shoe string budget the company received initial funding from a Canadian investment company in 2005. However at the time of the second investment tranche in 2006 the investor opted to buy the whole company and make it all American, cutting the ties with the Fredrikson brothers and the Swedish group of developers that had lead the development of the new device – the AquaBuOY – up to that point. AquaEnergy was merged with a wind energy company, also owned by the investor, and in 2007 introduced on the Toronto stock exchange through a reversed take over. Unfortunately the continued development of the AquaBuOY was misguided and resulted in a costly and failed test attempt in the Pacific off the coast of Oregon in 2007. After this failure the investor put development of the AquaBuOY on the backburner and a year later decided to cease any further development of the device. IPS used the opportunity to retake all the intellectual property (IP) rights previously granted to AquaEnergy and thereby closed the chapter about the company. In the fall of 2008 when IPS had recaptured all the IP rights, Hans and Göran Fredrikson decided to ask the old “Technocean Team” – where the knowledge and experience still exist – to show once and for all that the IPS concept has substance and with the right people involved and with the work performed in Sweden, will succeed. In 2009 Waves4Power was founded and in the summer of 2010 the first full scale WaveEL-buoy was successfully tested at Vinga just a few km North West of the place where Elskling had been tested 30 years before. The circle was completed. The IPS-buoy principle that Waves4Power utilize will prove to be the most cost efficient wave power system created.